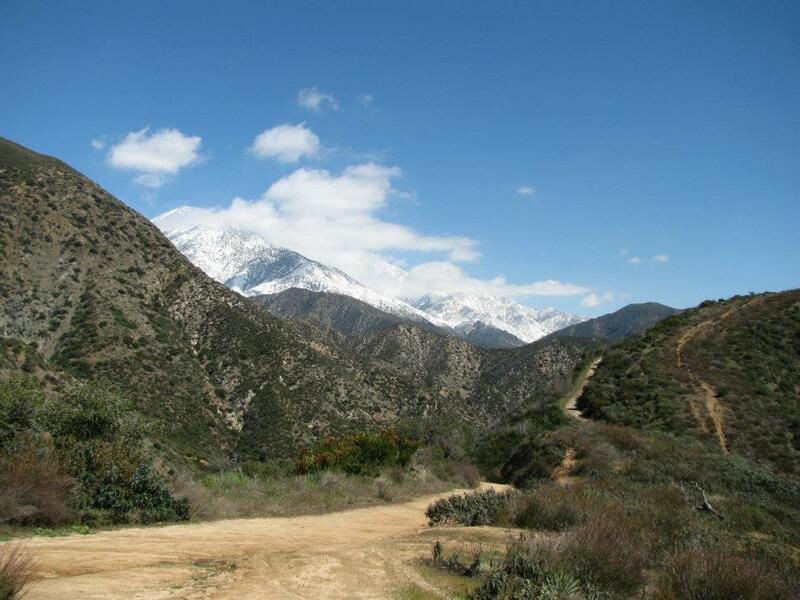 HIKE WALKTHROUGH: This hike starts at the Evey Canyon fire road trail head. The hike will start at the closed gate. The fire road at first descends then climbs through oak woodland for 1.5 miles where it reaches an open chaparral saddle. We will take the left road and ascend to the summit in about a mile. 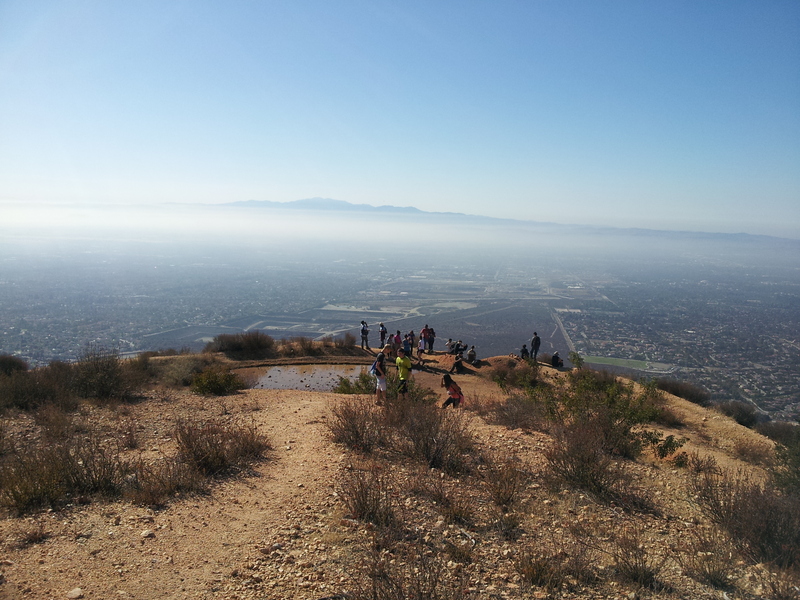 On the summit is a concrete water tank. It is a nice place to sit and watch the view. Potato Mt. toward Mt. Baldy, Ontario Peak, and Cucamonga Peak, covered with snow. Bring a potato and make your own iconic marking there. But we’ll make sure to leave no potato behind. REQUIRED: Water Bottles (at least 2 – 3 liters water bottles), hat, sunscreen. RECOMMENDED: Comfortable shoes with grip, light-colored clothing/hiking attire, hiking pole(s), additional sun gear for hot days. DOG-FRIENDLY? : Yes, but must on kept on a leash. Dogs must be experienced and friendly to other hikers/dogs. You must pick up after your pet. Bring additional water and drinking container.